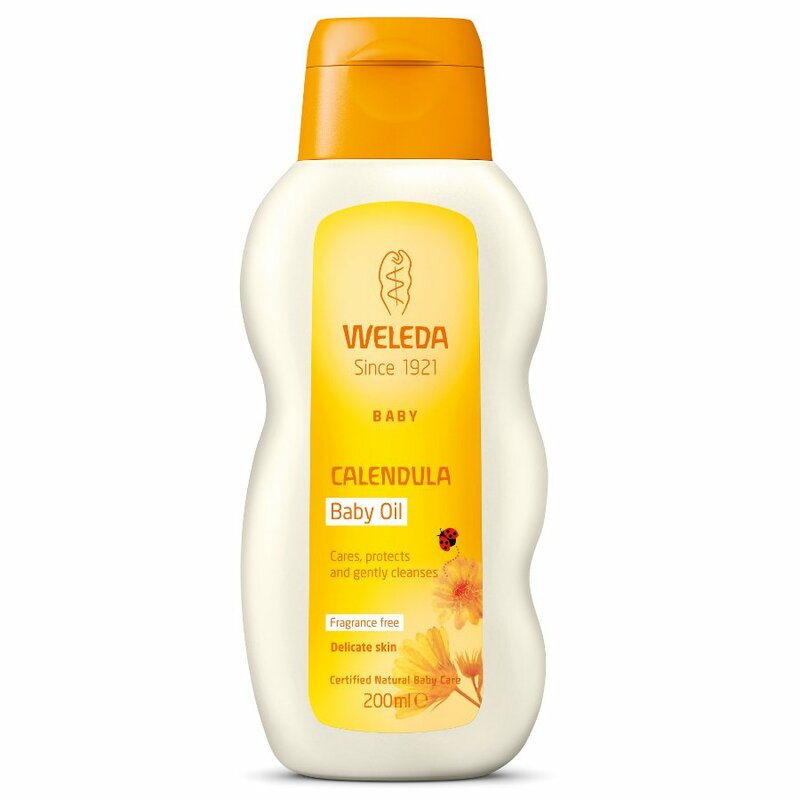 Weleda Calendula Baby Oil has been developed in collaboration with midwives. A mild, soothing formulation developed to protect your baby or infant’s skin with natural ingredients. Supports the skin’s natural functions and prevents moisture loss. Ideal for daily use as a nourishing, all over body moisturising treatment, after bathing and for gentle baby massage. Can also be used for cleansing the nappy area. *** Weleda products are now tested and graded to NATRUE standards. NATRUE is an international system of certification which has more specific methods of grading compared to other schemes. They are a not-for-profit organisation, which recognises the authenticity of natural and organic products by awarding natural, natural & organic and organic certification categories. Sesamum Indicum (Sesame) Seed Oil, Calendula Officinalis Flower Extract. The Weleda Calendula Baby Oil -Fragrance Free - 200ml product ethics are indicated below. To learn more about these product ethics and to see related products, follow the links below. There are currently no questions to display about Weleda Calendula Baby Oil -Fragrance Free - 200ml. Weleda started life in the UK in 1925 having been established 4 years earlier in Switzerland by a partnership between a Dutch doctor, Ita Wegman, and the renowned philosopher Rudolf Steiner. It was founded with the aim to help old and young restore their health and maintain their wellbeing. Its product range contains biodynamic and organic ingredients, no parabens, and is suitable for vegetarians. Weleda uses anthroposophic medicine which is an holistic approach that stimulates our body’s immune system to heal naturally and restore the balance of bodily functions.